Hazrat Qudratullah Shahab was an excellent bureaucrat, diplomat, and a prominent writer of Urdu. He worked at the top positions in government. He had reliable information about the bureaucratic tactics and governance system of Pakistan. Shahab is famous for his autobiography named “Shahab Nama.”In his last age, he became a Sufi form. Qudratullah Shahab was born on 26th February 1917 in Gilgit. His family belonged to Arain tribe of Ropar district Roop Nagar (East Punjab). Qudratullah occasionally visited there to meet his grandmother with his parents. Qudratullah took his early education in Gilgit. After that, he came to Government College Lahore and received a graduate degree. Qudratullah was a brilliant student. In the age of 16, he won the first prize from readers digest London. In 1940, Qudratullah joined Indian civil service. He was a compassionate and gentleman. In 1943, he appointed there as a magistrate, when a horrible famine broke out in Bengal. It was the time of Second World War. The British administration was compassionate about his future. They stored the food for the troops fighting at Burma front in Bengal. The people of Bengal were dying due to hunger. Qudratullah cannot see this miserable situation. He ordered the people to unlock the store and looted the food items under the control of the British government. On this grave violation of the law, the British regime warned to Qudratullah Shahab Qudratullah took no impression. He satisfied with his act. On the creation of Pakistan, Qudratullah Shahab was one of the senior civil servants. He joined the public service as deputy secretary of commerce in Pakistan. After some time, he transferred as chief secretary Azad Jammu and Kashmir. For a little time, Qudratullah Shahab worked as director industries Punjab. He deals with the claimant of the refugees. At the time of Ghulam Muhammad, Qudratullah Shahab appointed as principal secretary to the governor general. He collaborated with Iskandar Mirza and Ayub Khan also. He worked at this post till Agha Muhammad Yahya Khan tenure. In 1962, Qudratullah Shahab went to Holland as an ambassador of Pakistan for a little period. He used to work for UNESCO also. Qudratullah Shahab formed Pakistan Writers Guild in 1959. He elected as the president of the Guild. 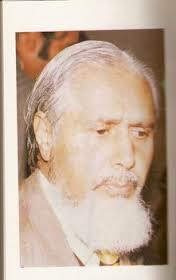 Qudratullah Shahab wrote many articles in Urdu and English. These items published in esteemed newspapers. These things widely liked. It gives the courage to Qudratullah to write more. When he has a conflict with Yahya regime, he went in self-exiled for some time. During his exile, he met to Ibne Insha in London and saw his literary work. It gave inspiration to Qudratullah Shahab to write his memoirs. 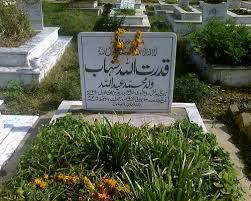 Hazrat Qudratullah Shahab died on 24th July 1986 at the age of 69. His shrine located in the sector H-8 Graveyard of Islamabad (the capital city of Pakistan). If you like, you may read Mohiuddin Nawab: Urdu Novel Writer and Mumtaz Mufti: Biography and Literary Work.